Dragon Holiday's core BEST OF CHINA tour is further extended to include the famous Three Gorges Dam...completed only recently in June 2009. You cruise for four days along the 600km-long Yangtze reservoir in 5-Star river ship luxury, with a private balcony enabling you to take in exquisite gorge scenery from wherever you are on the ship. Included shore excursions enhance the story of the construction of the dam...a project that took 17 years, from an idea first mooted more than 50 years ago. The dam wall and a 5-Step ship lock are among the many highlights of what is essentially an outer limits scenic extravaganza. A day-by-day itinerary contains all the excitement of this highly recommended option. After breakfast, hop over to Shu Yuan Men for some unique shopping experience. It is time to say goodbye to your Xian guide as you will be transferred to the airport for your flight to Chongqing. Domestic Flight (included) from Xi'an to Chongqing. Upon arrival, your local Chongqing guide will meet you at the airport and take you for a half day city tour including a visit to see the National treasure of China !V the Giant pandas and Er Ling Park for a view of the city. After a famous hot pot dinner, board your cruise ship in the evening for a relaxing journey down the mighty Yangtze River. After breakfast, continue on your cruise on the mighty Yangtze River with its vertical limestone cliffs. If water levels cooperate, stop at Shibaozai, a magnificent wooden pavilion constructed without nails, perched dramatically against a sheer rectangular cliff; or shore excursion to the Fengdu - Known as Ghost City. Locals gather here to pray for a good afterlife and re-incarnation in their next life. Tonight, dress smart for the Captain's welcome dinner. After breakfast, pass through the magnificent Qutang Gorge and the beautiful Wu Gorge. A shore excursion to Baidi City (optional tour) and Lesser Three Gorges, transfer to a small sampan to cruise the Shennong Stream. Experience the trackers of ancient China and see the Hanging coffins of the Ba minority. Tonight, enjoy the Captain's farewell dinner. After breakfast, your wonderful cruise has come to an end. Disembark and visit the Three Gorges Dam. After lunch at Yichang, you will be transferred to the airport for your flight to Shanghai. Domestic Flight (included) from Yichang to the modern city of Shanghai. Upon arrival, your local Shanghai guide will meet you at the airport and take you to enjoy some dinner before transferring you to the hotel. 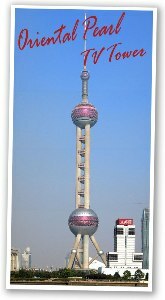 After breakfast, your guide will take you to visit the Oriental Pearl TV tower, for a bird's-eye view of this modern city. Then on to Shanghai's landmark - the historic Bund. After lunch, viist the incredible Urban Planning Museum on the People's Square. This evening enjoy the feel of old Shanghai at Xintandi, where a plethora of restaurants will attract you for drinks and dinner. Later, enjoy a cruise on the Huangpu River for the night view of Shanghai before transferring to your hotel. After breakfast, spend precious time in the classic Yuyuan Gardens. On to the bustling Yu Bazaar nearby, where you can pick up some souvenirs. Lunch is at a Mongolian Barbecue, which is as much a show as it is an exotic eating experience. Later, enjoy a walk along the adjoining Shanghai Old Street, with its endless streams of pedestrians, traditional shops, tea houses and theatres. Later time for shopping in famous Nanjing Road. After dinner, haveto Later, be amazed by the sensational performance of the famous Acrobatic Show before returning to your hotel.